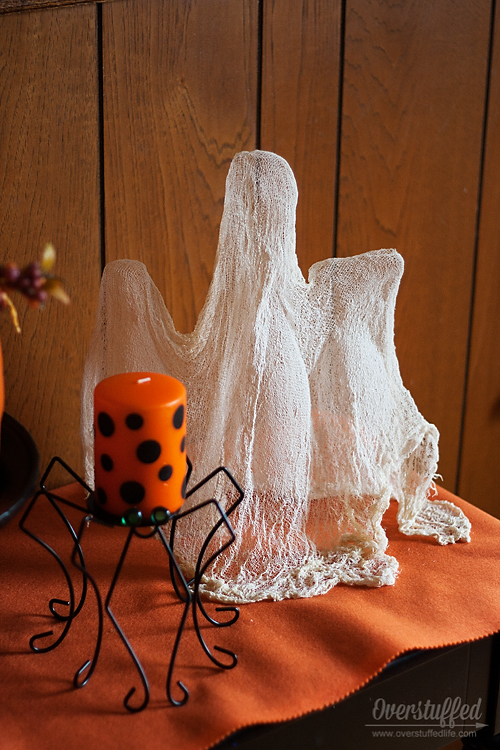 When I was little, my mom and I made these cheesecloth ghosts at Halloween. 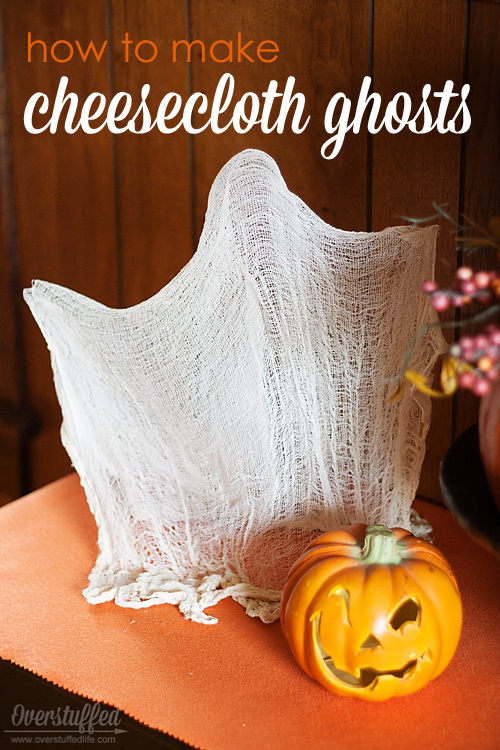 Several years ago I saw some cheesecloth for 5 cents at a thrift store, so I picked it up thinking the girls and I could make these ghosts. Well. We never actually did. 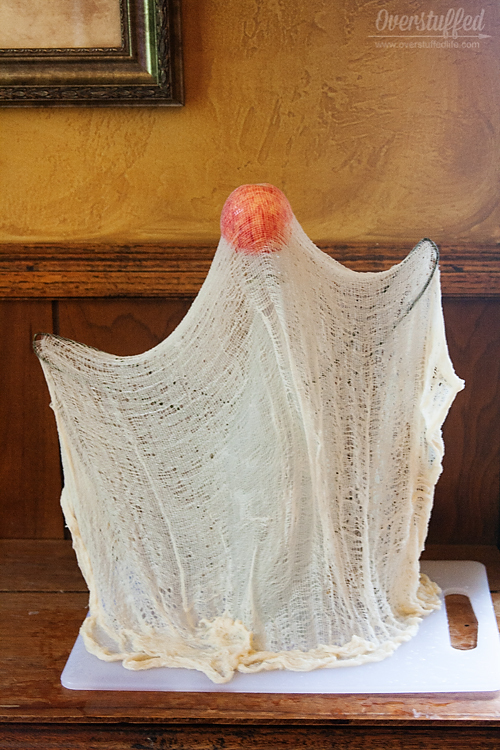 Five years later, during my decluttering rampage this month, I came across the cheesecloth. Since I'm making myself get rid of any project/project supplies that I haven't actually completed I decided it was time to make the darn ghosts already. 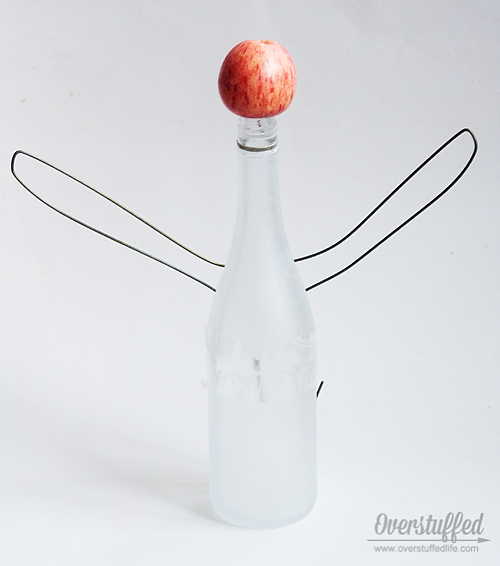 You need to find starch that is not in an aerosol spray bottle, because that won't work. 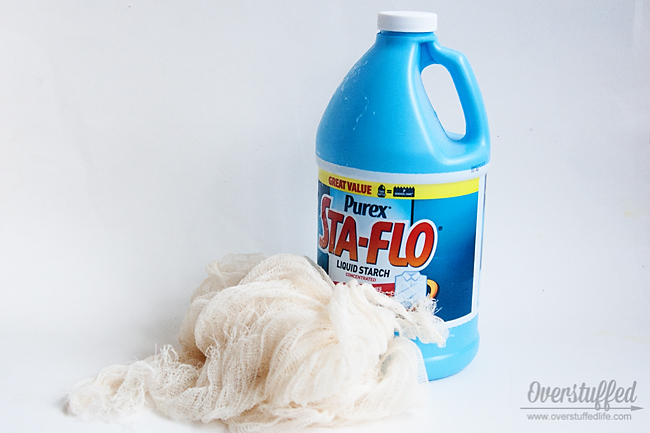 I used this Purex brand because it is super concentrated and perfect for this particular project. I also tried to use some lighter starch I had, and the results were not so good. The heavier the starch, the better. I filled a small bowl with the heavy starch and soaked the cheesecloth in it. 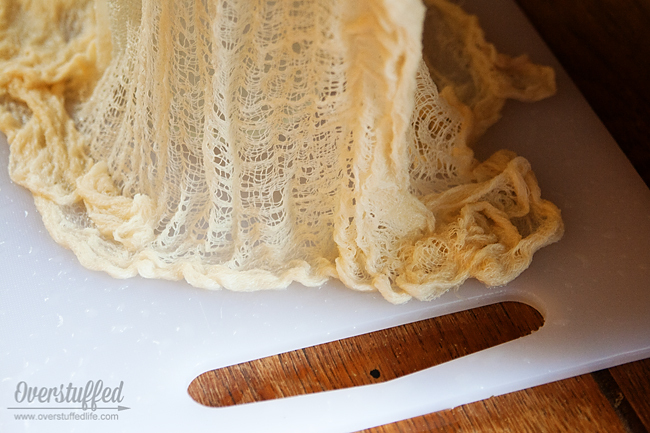 Once the cheesecloth is sufficiently soaked through with starch, you can start draping it over the form. Make sure the surface you are working with is protected somehow—I just used a plastic cutting board that was easily washed. I'm not sure what the starch would do to wood surfaces, but I definitely don't recommend using newspaper or anything like that. 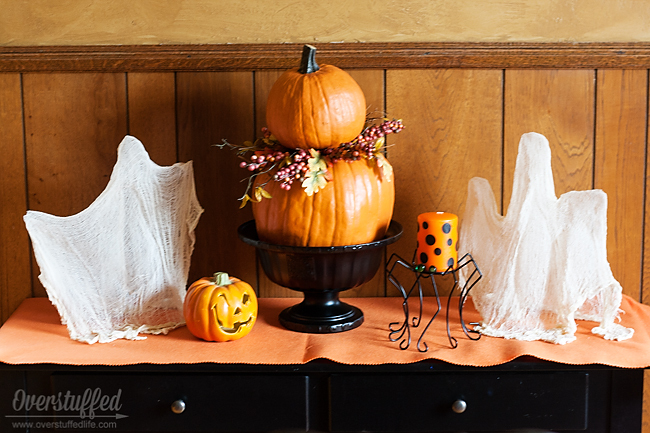 Make sure you create enough pooling of the fabric at the bottom, so that the ghost will have a sturdy base on which to stand when it is finished and off of the form. I found that the main part of the ghost was usually dry in a day, but the bottom took two days, maybe a bit longer (I made my two ghosts a few days apart from each other). Once the ghost is dry, carefully remove it from the form. You will find you have to peel it off in some places. This is normal and fine, just be careful while doing it. I like my ghosts without any sort of eyes, but I have seen people add googly eyes or make eyes with a Sharpie. 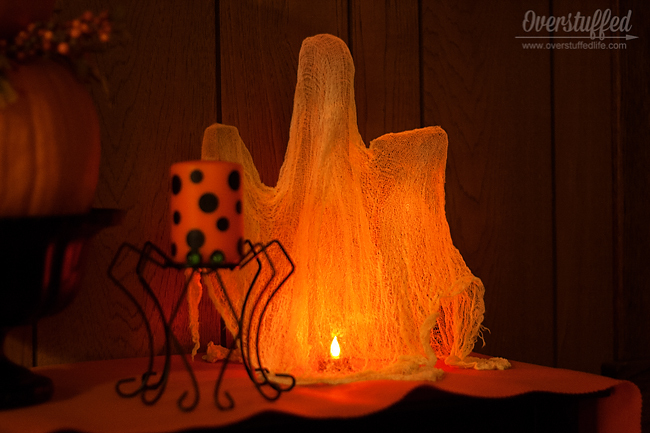 At night, I put a battery-powered LED tealight under each ghost for a super spooky effect. I think they turned out so great, and I am kicking myself that I didn't do it five years ago! I sooooooo need to do this, thanks for the inspiration to declutter... I have such a hard time finding things! 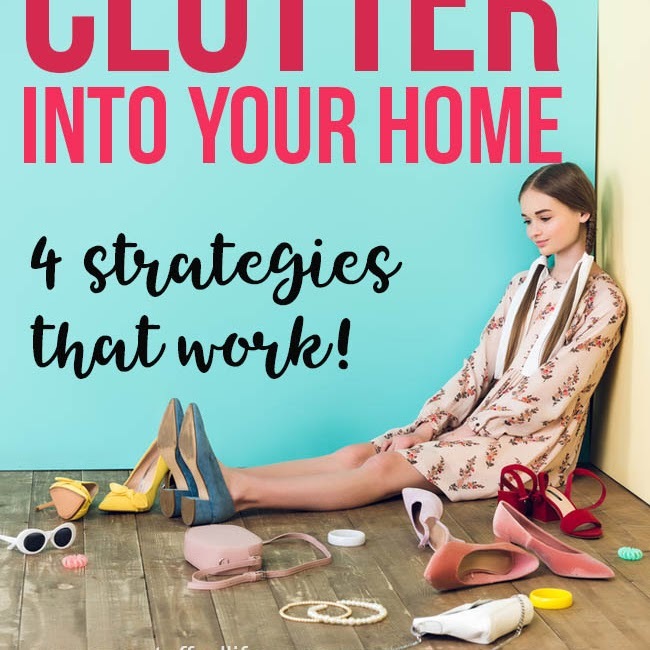 i keep having this "decluttering" thing revealed to me over and over. I'm feelin' the urge to purge! Ha! 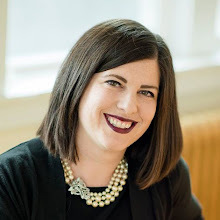 I am your conscience...declutter, Jilly, declutter! 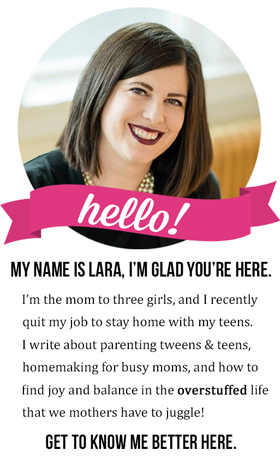 That might be one of the worst byproducts of clutter. Good luck! It does feel great, doesn't it? I think the hardest part will be for me to keep at it after this month!